*Reserve your tickets today by calling 856-488-7868. Tickets available for purchase in room 102 of the Municipal Building or at the door. Bring your children to an interactive concert featuring a pianist, flutist and violinist. This ensemble, which is ideal for children ages 3 to 6, will feature classical music scores from Disney favorites such as "Beauty and the Beast," "The Little Mermaid," "Jungle Book," "Lion King" and many more. 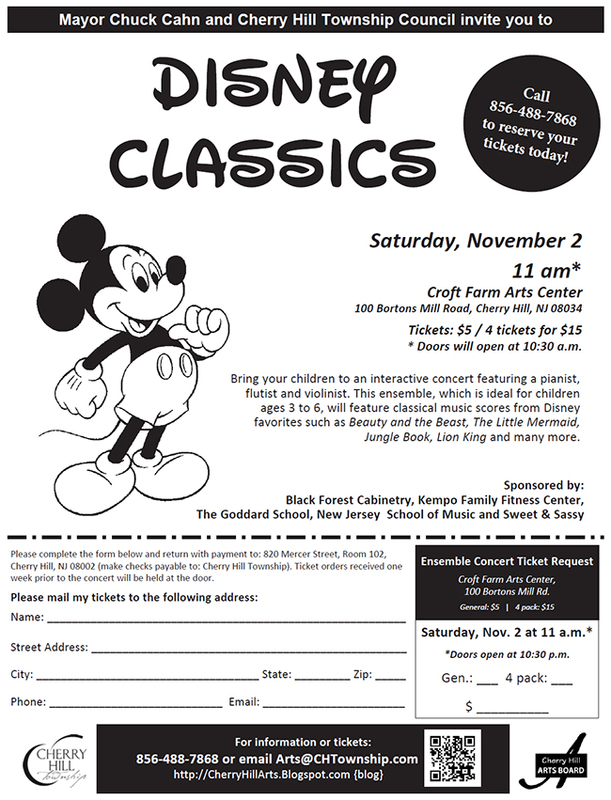 Black Forest Cabinetry, Kempo Family Fitness Center, The Goddard School, New Jersey School of Music and Sweet & Sassy.